This past weekend at New York Comic Con, Nintendo made their presence known with panels, gaming tournaments, and many playable games for the Wii U and 3DS. One such game is Sonic Lost World for the Wii U. I’ve been a Sonic fan for a long time, but as many others have said, Sonic hasn’t always had the best track record. This is especially true when it comes to games that take place in a 3D plane. Of the 3D Sonic games I’ve played, I always felt like the games have a strong start, but as you get further into the game, the cracks start to show more and more. The question then becomes whether or not the game ends before it falls apart. Even Sonic Generations, a game I really enjoyed, had some problems toward the end of the game. My hope is that one day I get to play a flawless 3D Sonic The Hedgehog game. 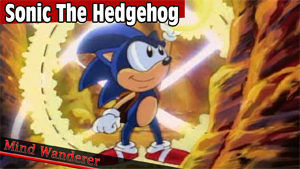 Sonic Lost World may be that game. 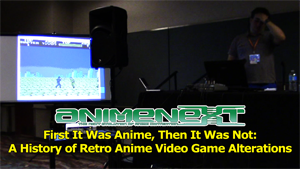 Previously, I talked about some of my experiences at Otakon 20, mainly about the time I spent at the concerts. Of course, there was plenty of other things I did besides standing in line and listening to live music. I also went to panels and bought a bunch of stuff. Also, I stood on more lines. I never was a fan of lines. While I was at Otakon, I did manage to go to a few panels. Unfortunately I missed a handful of panels I wanted to go to due to either the concerts or me not managing my time correctly. I especially wanted to go to more industry panels than the one Funimation panel I went to, but that’s life. It’s no big deal.